General Motors has been very vocal about its future electric car initiatives. However, these aren’t the only electric vehicles that GM is in the process of developing. Earlier this month, GM shared more details about its ARĪV eBike brand. For the longest time, GM’s eBike division lacked a proper name. GM launched a global crowdsourcing campaign to select a brand name late last year, and “ARĪV” eventually came out on top. The ARĪV brand will launch with two separate models: the Merge and the Meld. While the Meld is a compact bike model, the Merge can be folded to create better storage solutions. GM’s team of engineers utilized their knowledge of EV production to make these eBike models as efficient and advanced as possible. As a result, the Merge and the Meld can reach up to 64 kilometers (39.76 miles) on a single charge, while reaching speeds of up to 25 kph (15.53 mph). GM also focused on connectivity when developing the ARĪV bikes. 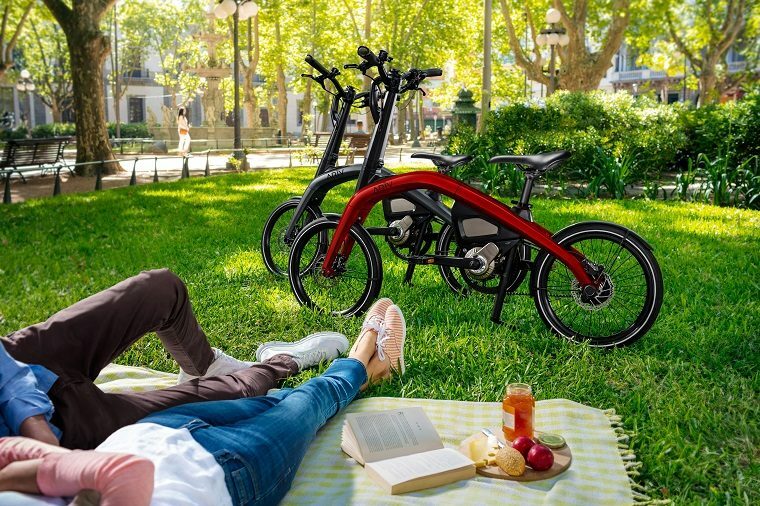 Both models offer an ARĪV eBike app via Bluetooth, as well as a USB port to charge any mobile devices while on the go. As for charging the eBike models themselves, it takes approximately 3.5 hours to reach a full charge. The ARĪV Merge and Meld will launch in Germany, Belgium, and the Netherlands during the second quarter of 2019. In Germany, the Meld is available for 2,750 € ($3,101.50), while the Merge is offered for 2,750 € ($3,778.21). In Belgium and the Netherlands, the Meld comes with a starting price of 2,800 € ($3,157.91), while the Merge costs 3,400 € ($3,834.61).